I had planned to fit this review into a video but, my video skills are going through a metamorphosis as I make some changes in editing tools so I will limit this review to photos and text. 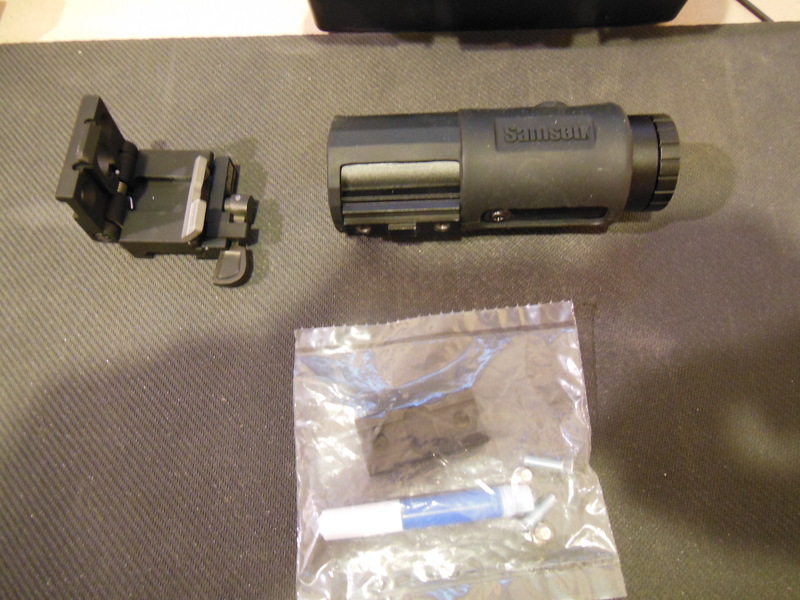 The magnifier is designed to be paired with your red dot optic. Since I tend to prefer to use variable optics my red dot options are a bit limited. I pulled out the M&P 15-22 which has the Vortex SPARC mounted up. This was my initial test bed for the magnifier. 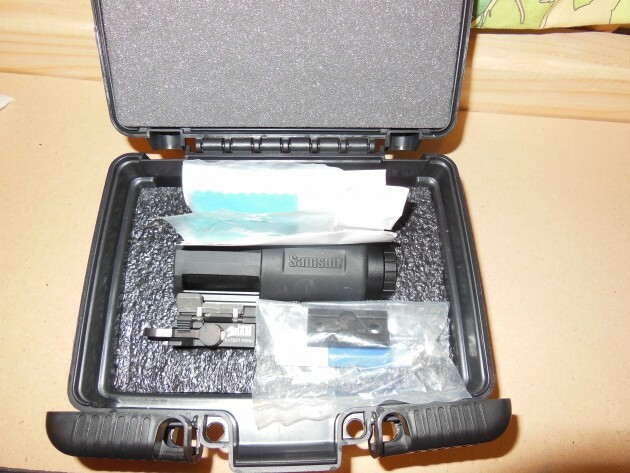 The magnifier arrived packaged in a nicely crafted black plastic box, that is lined with two different densities of foam packaging. Both the foam, and the hard exterior shell are visually designed to resemble a hard sided rifle case. In this case think of a Pelican or SKB style case. The bottom foam is cut to fit the magnifier and the mount. The latching system that is on the package is something that I had not seen before. The case is designed to be lockable with the locking hasps sliding to the outside of the case prior to allowing the case top to be opened. Well thought out but, it wasn’t intuitive. The case itself is sturdy and robust and will easily withstand the normal handling (dropping, throwing, and tossing) experienced during shipping. It would be interesting to give a few of these boxes to a platoon of Marines and see what kind of misuse the packaging can take. Opening the package I found everything I needed to mount the magnifier up to the RAM mount, and the RAM mount popped right on to the Picatinny rail on my rifle. No muss, no fuss. The kit includes: a lens cloth, blue thread locker and a riser if you need to bring the magnifier up a bit higher to align with your red dot. Unfortunately there was no way to lower the magnifier, the height is really a function of the design of the side flip mechanism. 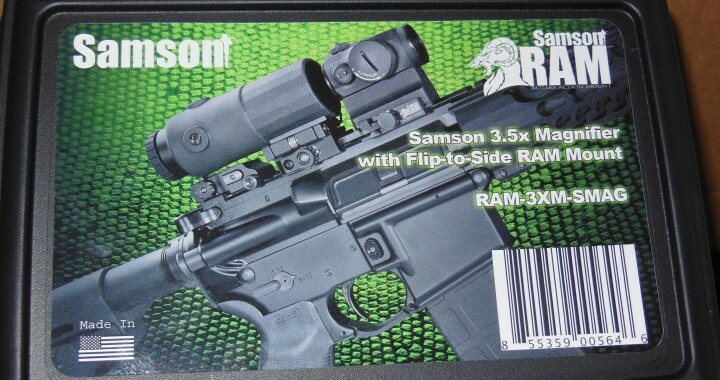 The RAM mount that comes with the magnifier is really the heart of the system, and a standalone Samson product line that we will be discussing in the future. The mount is a solid piece of engineering that has a very simple set of user controls, and it just plain works. The magnifier itself is a magnifier. It is ruggedized, and built to be banged around and went through several unintended drop tests with no damage. The magnifier has adjustments for windage and elevation to help fine tune the alignment of the optics with your paired red dot. The adjustments take the form of a visible screw head that is recessed below the layer of protective rubber that encases the optic. When you pair a magnifier with a red dot optic, you accept upfront that you are not going to be doing any real precision work with your rifle. Typically the dots themselves are 2 MOA or more. As a result, I am not certain that the adjustment screws are really a necessary feature. 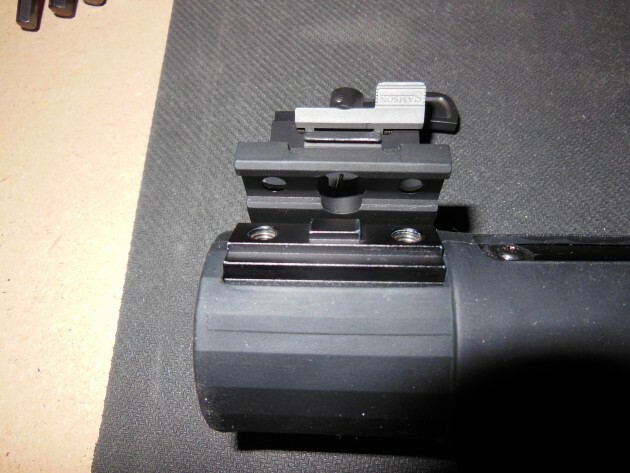 Installation of the magnifier to the mount is straightforward. The interesting thing here though is that Samson went just a bit out of their way to make sure that installation is easy. 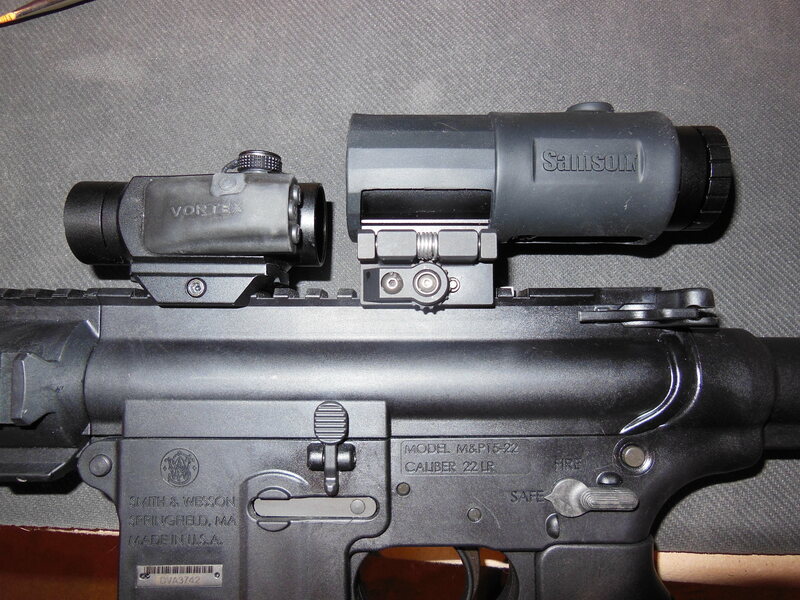 On the bottom of the magnifier is a small elevated tab, on the mount there is a corresponding indentation. You mate the two and the screw holes line up and stay positioned as you thread the included screws through the mount and into the magnifier body. Well thought out and a nice feature. Once the magnifier is on the mount, the mating of the mount to a rifle is incredibly easy. Slip the mount on to you preferred spot on the rail, give the RAM handle a half rotation and lock it in place. It is a solid lock, with minimum effort. Both sides of the mounting bolt are mechanically locked into place. No need for any messy thread locker. Best of all, the device is easily removed and replaced on the rifle as needed. Alignment of the magnifier to the red dot seems to be the challenge. The SPARC that I have on hand sits way too low to align with the magnifier. This height differential would probably be resolved if I still had the higher mount for the SPARC. In the interim, I will see if I can borrow or scrounge another red dot to test with. From the consumer standpoint, the flip to side mounting unit that comes with this Samson kit naturally adds some height to the magnifier, it is just a matter of physics and the properties of the materials used. The side flipping mount has a very robust spring in it, that will pop the magnifier out of the way when it is released. Bringing the magnifier in line with the optic and locking it in place took less effort than I thought it would, once the unit was mounted up. However, I found that getting that locking mechanism to latch was 50/50. It takes a bit more positive pressure to latch that in place than you think it does as you are flipping it into line. Releasing the latch takes very little pressure but, it does take a bit of fine motor skills. The latch sits closely against the lower part of the magnifier body, and it is not a natural ergonomic movement to swipe it off. Knock off the sharp edges on the RAM mount. Give all of those corners and edges a slight chamfer. The latch for the flip portion of the mount needs a slightly broader grip width. The unit I received did not reliably lock into position. The latch for the flip mechanism takes some fine motor skills to release. Need to find a way to trigger the release mechanism using gross motor skills maybe through some sort of push button mechanism? I will have a more in depth look at this Magnifier once I get the optics aligned. A couple of things that I am curious about include the eyebox for the magnifier, traditional focus adjustments, and I want to validate my initial thoughts about the latching mechanism during some movement and target transitions. A lot of news is coming out of SHOT 2015. One of the pieces that I am particularly keyed up about is the new Strike Eagle from Vortex. In fact this is my third consecutive post on this topic. There are a lot of “game changers” out there but I really think that the price point that Vortex has hit with the Strike Eagle is ideal. Here are a couple of videos from the Vortex folks on the Strike Eagle. Features, function, and where it fits into their product line. 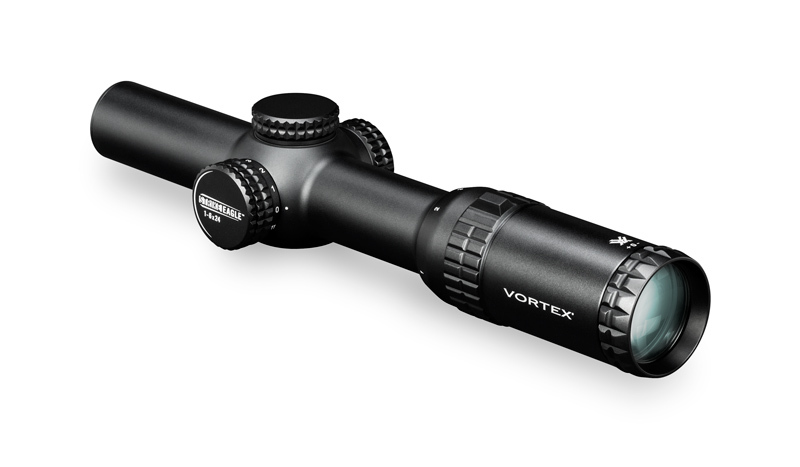 Last week the rumors of a new Vortex 1-6x optic were confirmed. This week we get a little bit better look at the device in marketing material from Vortex. Waiting until the summer release date for these optics is going to be challenging. Samson Manufacturing initiated their Operation X program this fall. In a nutshell, it is a program designed to get product feedback from people in the field. A corollary to this is the widespread non-traditional media exposure that can be generated for the Samson product lines. It is a creative approach to marketing, and a way to Samson to gain broader market penetration as well as pull in a lot of user feedback early in the product lifecycle. Here is the announcement describing the program. When the application period for this program opened, I thought I would throw my name in the hat and see what happened. The selection announcement for the Operation X program was made today. Much to my surprise, I found my name on the list as a selectee. 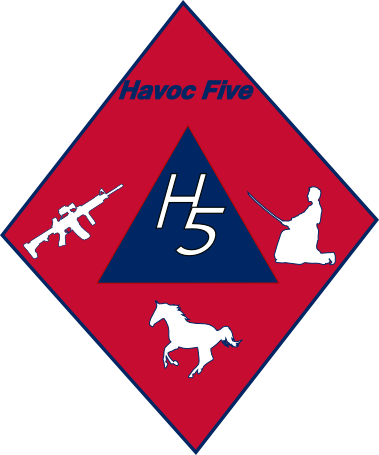 Over the course of the program (or for however long I can convince them that I am worthy) I will have the honor of participating. You can expect to hear a lot more about the program and Samson products during the coming months. There are a lot of well known and established individuals from the shooting world that have been selected as part of the program, and I am honored to be part of the Operation X team along with them. Stay tuned, this should be a lot of fun. What a great way to start the year!